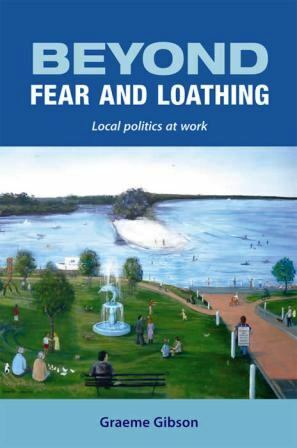 Gibson, Graeme Beyond fear and loathing : local politics at work. More Than Just Talk, Huskisson, N.S.W, 2012. The book could have become a depressing catalogue of local woes, as little and not so little failures of political transparency, political sleight -of -hand, cronyism and outright corruption unfold. Let us all hope so. Posted on February 1, 2014 by Shirley Fitzgerald. Year of the Horse. It’s all pretty complicated this Chinese zodiac thing. It’s the wooden horse, which means different things from the water horse, and the metal horse, naturally. And how you personally will get on this year will depend on your own year. Mine is the rat, and apparently horses and rats are fairly incompatible so I might expect a rough ride this year. Anyway, best wishes for yours. The Secretariat, November 2013, Built in the late 19th century it is the most imposing of all Yangon’s historic buildings. There’s nothing like a dose of Myanmar to strain the mind over questions of heritage. Streets and streets of magnificent crumbling colonial buildings in Yangon. Visions of the millions of baskets of building materials carted on hundred of heads up so many paths to repair and secure so many temples on so many hilltops. Exquisitely carved old teak monasteries languishing in ancient and deserted rural places that were once cities, or tucked away down side streets behind the brutal new Chinese inspired high rise of ugly modern Mandalay. The ruins of Bagan with its thousands of temples, both tiny and grand, stretching beyond where the eye can see – 42 square kilometers. Inadequate attempts are made to imagine the missing domestic and public structures that once filled the vast spaces of this lost city but it is just about impossible to get any real perspective on its lost greatness. The woeful tale of attempts to have this magical place recognised by UNESCO as a world heritage site make a good introduction to anyone interested in understanding the complexities and politics of heritage issues in Myanmar. At the local level in villages across the country nothing much remains of ephemeral domestic and worka-day structures of even a decade ago. The remains an old rice mill, its water races and stones still in evidence, its thatched roof thinning to the open sky, a building rendered obsolete by small insertions of industrialised power that alter forever the way that materials are made and the way that people labour. We saw this is 2013. Will it be there in 2014? 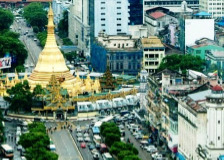 Yangon alone blitzes the senses with its heavy load of historical content. One legacy of years of isolation is the finest and largest collection of British public and private sector colonial buildings in the world. Post offices, hospitals, schools, banks. The amazing Pegu Club, unofficial centre of British politics and intrigue, a mouldering timber and brick wonder of dance halls and dining rooms, of remnant squash courts and swimming pool, of carved teak staircases and rooms providing accommodation for Anglo gentlemen, sojourners, mad or otherwise. Local Burmese were not permitted, except as servants.Who will restore this crumbling pile, redolent with memories of oppression and arrogance of a failed Empire? 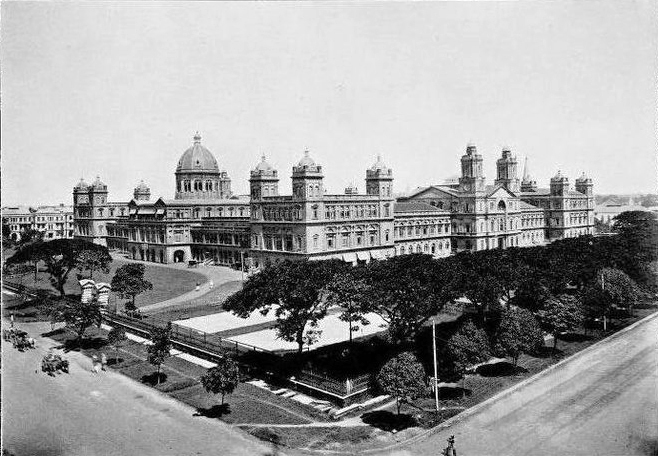 The 16 acres (6.5 hectares) of the magnificent Secretariat buildings, the official HQ of British power, in the heart of downtown Yangon has survived a little better as it was used until recently and only abandoned by the Myanmar bureaucracy after the military government established a new capital in Naypyidaw in 2005. 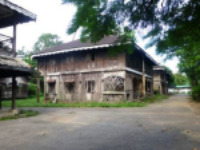 The Yangon Heritage Trust is a non-government organisation established under the patronage of Thant Myint-U which hopes to get joint government-private sector involvement in restoring heritage buildings for commercial use. The local government Yangon City Development Committee’s list of heritage buildings contains temples, pagodas and monasteries as well as many British era structures. Lists are one thing, heritage conservation is quite another, and in the plethora of problems and challenges facing Myanmar, the importance of heritage can easily get lost. …So then home to the prospect of the O’Farrell government emaciating the heritage strengths in our own planning legislation. Glimpsing the plight of another place with so many mindboggling problems, including so many intractable heritage issues, does not make you feel relaxed at the state of thing at home. Just frustrated at the lack of vision, the narrowness of understanding of how very important it is to take our heritage seriously. Any place can throw up the modern and the utilitarian structures that maximise the profits of the bottom line. Just look at Mandalay, a name redolent with romance, an ugly place of overanxious development at all costs. Today, Yangon’s retention of so much of its past is a miracle. The next years might see it disappear unless developers, government, developers and the world come to understand its potential as a special place. The Yangon Heritage Trust has friends in powerful places and fingers are crossed for a good outcome of its work. 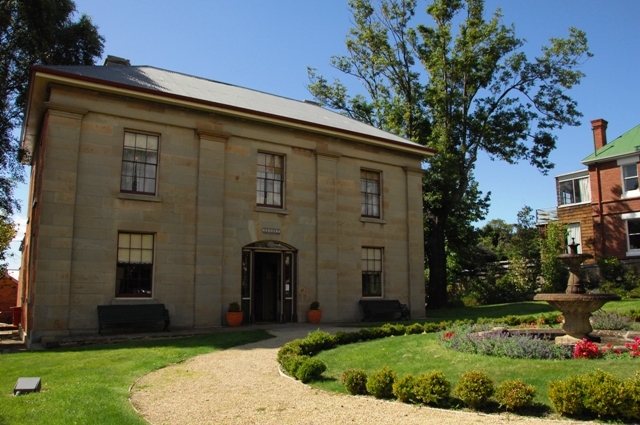 As for Sydney, there was the small triumph of the withdrawal of the Planning Bill 2013 after a plethora of amendments aimed at strengthening its community and heritage elements were introduced in the Legislative Council. But the bill will be back again in February or March and it’s not likely that the development sector has stopped lobbying, let alone grown in appreciation of even the economic potential in heritage understanding. And so the fight continues. Below are some links to sites that discuss Yangon heritage issues. Posted on January 16, 2014 by Shirley Fitzgerald. There is a long history of people attempting to expunge the name of Millers Point from the map of Sydney. The precursor of SHFA tried to grab it for The Rocks. They tried to get the name of the old Post Office in Kent Street. 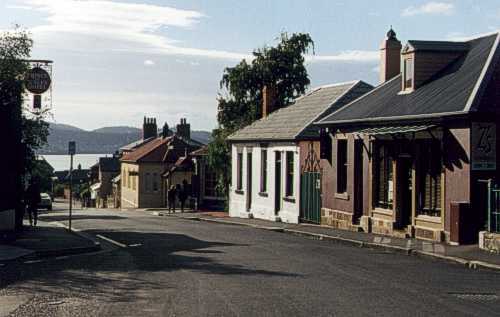 Off the buses that terminate in Millers Point. Every time the residents have had to fight to keep their name. Names are important. Part of Millers Point has recently been swallowed into the new Barangaroo. This attack on one of Sydney’s oldest place names needs to stop. To rename a small portion of the already diminished and diminutive suburbs of Millers Point and Dawes Point as Walsh Bay would be most disrespectful to the historical integrity of the place. Millers Point is one of Sydney's oldest communities with a history that is based in its maritime economy. It has been named this for almost 200 years. 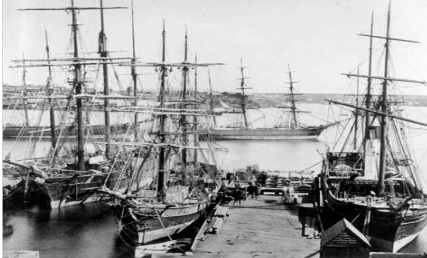 Walsh Bay and the Walsh Bay wharves are integral to the maritime history of Millers Point, and without them, the meaning of the place called Millers Point is profoundly compromised. The bay between the heritage listed precincts of Dawes Point and Millers Point is well known as Walsh Bay and the wharves are always called the Walsh Bay Wharves, but these are widely understood to be part of Millers Point. 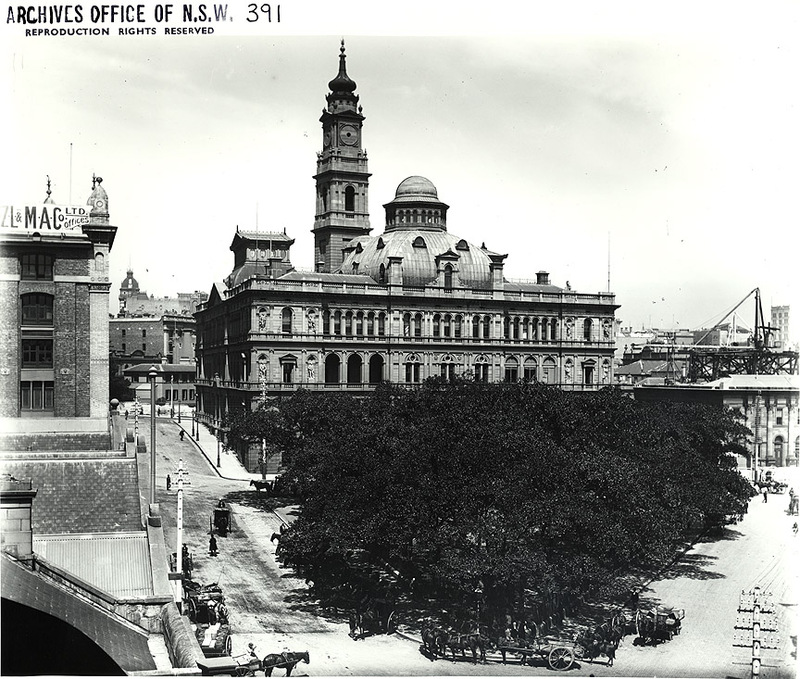 The State Heritage Register provides detailed and thoughtful listings of Millers Point and Dawes Point. The register also lists the heritage precinct of Walsh Bay as a heritage item, but it makes it clear that this is integral to the place called Millers Point. The practice of named wharf precincts within suburbs and city precincts is well established and easily understood - Jones Bay wharves, Pyrmont, White Bay wharves, Balmain, Walsh Bay wharves, Millers Point. This concept is clear and not difficult to grasp. The fact that there are residences on the Walsh Bay wharves and former shore sheds is irrelevant and no different to the fact that there are residences in Windmill Street or Argyle Place, or on various wharves at Pyrmont or that there are residences at Circular Quay. 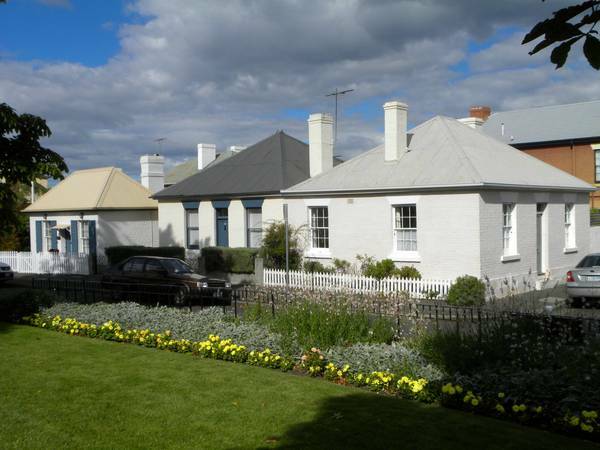 Over the years there have been ongoing attempts to erase the place called Millers Point. Local residents on all these occasions have protested at the disrespect shown to the heritage meaning of their place - Millers Point. Claims that the proposed new naming would reduce confusion are greatly overstated. Mischievous, even. Dr Lisa Murray, the City Historian, provided the Council with an excellently reasoned paper the last time this silly request came before you. Please don’t entertain this proposal. Please stop revisiting this issue and please don’t be conned into thinking that this proposal is anything more than an attempt to distance a small group of residents from the honourable historic roots of the area they live in. Posted on July 22, 2013 by Shirley Fitzgerald. Barangaroo: A Place to Celebrate….a place to trash? That’s what the official website of the Barangaroo Delivery Authority says – a place to celebrate. The unexpectedly rich archaeological finds (previous blog entry) should be something to really celebrate. But now they are covered over, gone before they made any inroads into the minds of Sydneysiders. The miracle of the preserved wharves and slip ways at Millers Point which delighted those few who saw them briefly on one open day in June have disappeared almost as soon as they came into view. Not destroyed, but not visible and not part of the plans for this brassy place. These marvelous remnants of our shipping history can be reinstated, but the current spin says: ‘Opportunities to reinterpret the remnants of the sandstone retaining wall into the landscape of the Headland Park are currently being explored.’ Which means no commitment to anything. If Sydneysiders don’t care then who cares? Sydney – a place to trash. 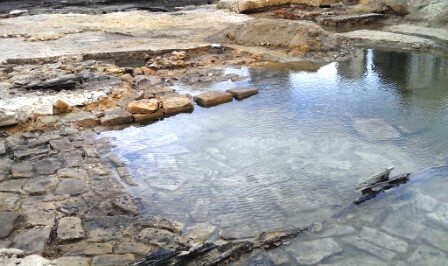 At Barangaroo, still known to its friends as Millers Point, down at the original shoreline just south of the original headland , archaeologists are currently exposing some remarkably well preserved remnants of Munn’s Wharf, built in the 1820s, Cuthbert’s larger wharf that replaced it, and Dibbs even larger wharf that covered them both. Munn’s sandstone slipway, covered by the waters of Darling Harbour for much of the day give the lie of the land before the harbour began to be gradually filled in. Extensive remnants of an 1860s sea wall show the extent of the first reclamation of Darling Harbour, while the great expanse of the apron of the 20th Century wharves beyond dwarf the older sandstone remains. Many thanks to the team who showed members of the public around the site today, June 15th. Viewed together, the layered remains in this one location provide a whole history of the evolution of shipbuilding in the 19th Century. 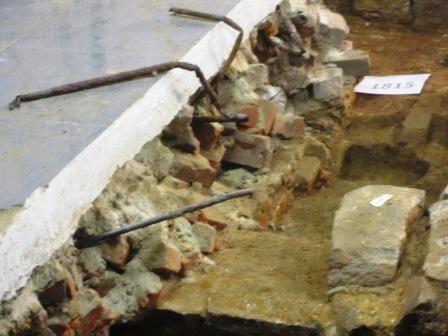 The site must be allowed to remain exposed and accessible. In amongst the faux heritage of the new headland park and the unabashed enormity of the proposed tower developments at Barangaroo, here is an exciting, tangible and very readable piece of historical magic. Sydney did the wrong thing when it covered over the oldest docks in Australia to permit expansion of the Museum of Contemporary Art at West Circular Quay. But even Liz Ann McGregor, who claimed she could only see rubble there, could not fail to understand the significance of this Millers Point site. 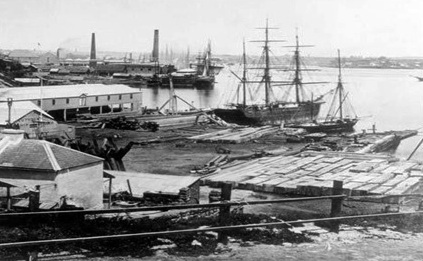 Cuthbert’s shipyard, which covered and extended the old Munn’s wharf. This 1871 image taken from Millers Point looking south towards the Australian Gaslight Company’s works. State Library of NSW. Dibbs wharf, undated. Many remnants of the piles that supported this wooden wharf remain. State Library of NSW. Posted on June 15, 2013 by Shirley Fitzgerald. 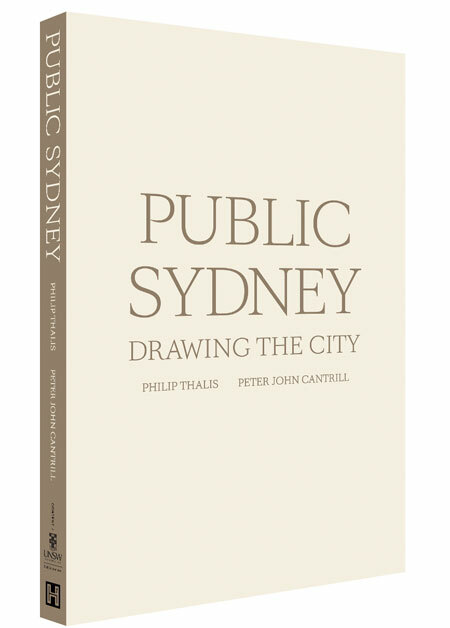 An extraordinary book has just been published, written by Sydney architects Phillip Thallis and Peter John Cantrill and titled Public Sydney: Drawing the City. [Historic Houses Trust & university of New South Wales, 2013] In addition to thoughtful text, provocative essays and wonderful images the book contains at its core hundreds of scale drawings of Sydney’s public buildings that permits a consistency of comparison over time. It is the combined work of many individuals working for more than a decade. At the launch at the Museum of Sydney several speakers made the point that there are only one or two other cities in the world with such a rich and nuanced resource. Meanwhile, yesterday’s Australian carried an article flagging the imminent sell off of one of Sydney’s most important late nineteenth century public buildings, the Lands Department Building fronting Bridge Street, built between 1876 and 1892. It is widely considered to be one of the best of the venerable clutch of buildings designed by Colonial Architect James Barnet in the 1880s. Apparently we record but we do not maintain. Another bit of the public domain is up for sale again, spaces we all once owned are constantly being privatised and who knows where it will end? Posted on April 26, 2013 by Shirley Fitzgerald. Just enjoyed few days in Hobart. 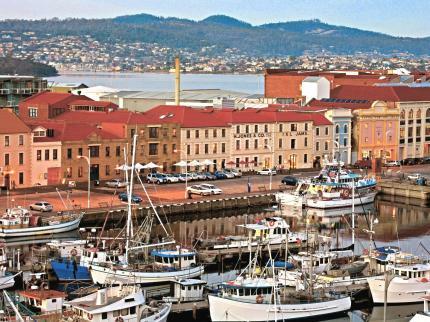 If you want to see what Sydney once looked like, go to the Hobart waterfront and squint. Blot out the few tall buildings, lengthen the height of the ship's masts and draw in a couple of horses and carts for good measure. It's not all like this, but there is enough to make anyone jealous. 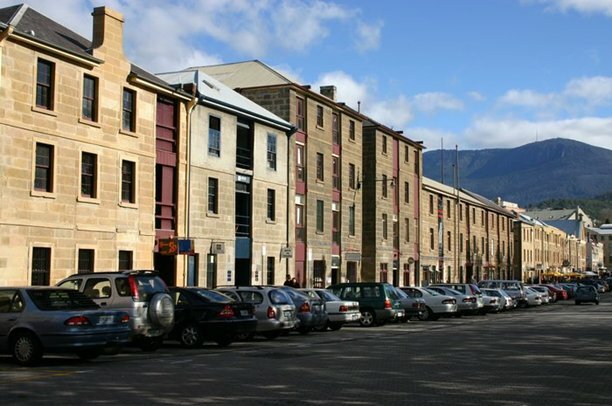 Compare Hobart's waterside warehouses with any old photograph of Sydney's East Circular Quay taken around the 1870s - buildings that were there before the buildings that were replaced by the buildings that are there today. Posted on March 19, 2013 by Shirley Fitzgerald. I joined the huge crowd who walked behind the hearse carrying Col James to the Redfern Community Centre on Saturday 1st March. Here a wonderful wake and memorial service went on for hours as people celebrated the life of this great educator. A wide cross section of people – local Redfern people, social justice activists, academics, students and architects of all stripes - were there to honour the brilliant life of this ‘quiet revolutionary’. One of the many great speakers asked would Sydney University employ him if he applied for a job today? Probably not. Thank God they did back then. And he’s already in the history books. Vale Col (‘make housing a verb’) James. SMH Obit. Posted on March 4, 2013 by Shirley Fitzgerald. Open Day at Mick Simmonds Dig, George St. The site is opposite the QVB and adjoins the back of the State Theatre Stage. Thanks to Matt and Mark for conducting this opportunity to view the archeology before the developer trashes it. 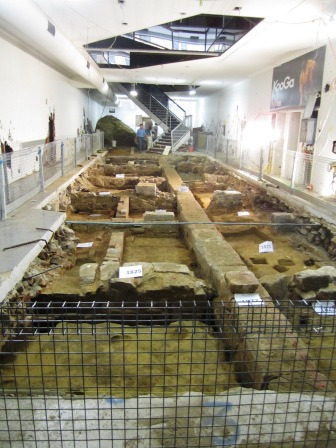 The archaeological excavations investigated occupation of the site from 1815 onwards. First a public house – the Golden Fleece – occupied the site and then a grocer and successive shops through the later 19th Century. Over 1500 clay pipes were found and so far only 2 coins! Posted on February 24, 2013 by Shirley Fitzgerald.